Passion to Seed Gardening (PTSG), as the name suggests, was built out of love and passion for growing food without the use of any pesticides, herbicides and fertilizers. We practice composting and use organic manure to enhance our plant growth. We came into being in 2015 through the New Farmer pilot project offered by the county in partnership with the Montgomery Countryside Alliance. The farm, which is situated in Gaithersburg, offers a variety of ethnic vegetables to a spectrum of customers who come to the farm and shop for their fresh produce. In essence, it is a “United nations of vegetables” because of the vast variety of produce grown. Very little or no mechanization is practiced on the farm, so that means each and every plant has been individually planted and given some TLC (tender loving care) prior to getting onto the consumer’s plate. Preserving original taste of produce grown and growing it sustainably is our motivation and goal behind Passion to Seed Gardening. CNSI delivers a broad range of health information technology (IT) enterprise solutions and customizable products to a diverse base of federal and state agencies. We align, build and manage innovative, high-quality, cost-effective solutions that help clients achieve their mission, enhance business performance and improve the health for over 28 million Americans. Formed in 1994, CNSI is headquartered in Rockville, Maryland, with locations throughout the U.S. and India. Environmental Stewardship is a key pillar in our Corporate Social Responsibility Program, iCare. We want sustainability to be a part of our culture and business model, not just a top-down directive. As a result, we convened a Green Council comprised of employees and managers from all functional areas to serve as an advisory group to improve our overall sustainability practices. The Council drafts and presents guidelines that influence decision-making and habits to align with the company’s goals on energy use, water reduction and recycling, and purchasing. 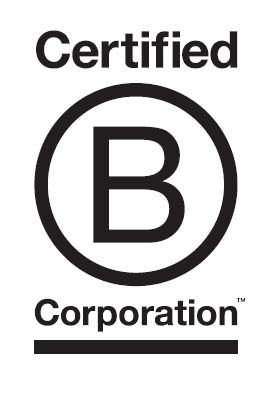 We are very proud of our Sustainability Efforts and to join the growing number of quality firms in the Montgomery County Green Business Certification Program. Your Chef's Table Farm is focused on raising healthy and delicious food in the most sustainable ways. Our produce is Certified Naturally Grown, and our chickens are pasture-raised. We aim to embody the principles of regenerative agriculture. "Certified Naturally Grown farmers don't use synthetic fertilizers, pesticides, herbicide, or GMOs, just like certified organic farmers. The main difference between CNG and organic is our certification model, which relies on peer inspections, transparency, and direct relationships." Feel free to ask us how our products are grown. We adhere to the Rodale Institute's slogan, ""Healthy Soil = Healthy Food = Healthy People." At Your Chef's Table, we practice soil building techniques such as cover cropping, composting and minimal tillage in order to preserve and regenerate soil ecosystems. You can learn more about regenerative agriculture from the Rodale Institute here. We grow a full variety of vegetables and raise poultry for eggs and meat on pasture. Where can you get our produce and poultry? We run an on-farm stand Saturdays from May to November. Please sign-up for more details. 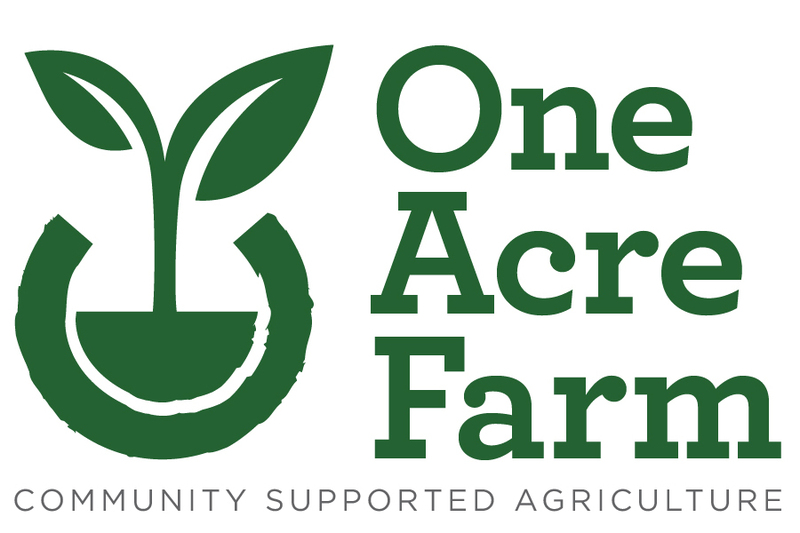 The Farm at Our House is a certified organic farm located on land owned by Our House Inc., a residential rehabilitation program for adjudicated and orphaned young men between 14 and 20, in Brookeville, Maryland. We help manage close to 30 acres and grow mixed vegetables, small fruit and spawn mushrooms intensely on 6 acres. utilization of passive solar energy in our three hoop houses; and cover cropping. We also work with MCPS students during the summer and the young men at Our House to help cultivate the next generation of sustainable farmers. You can join us on our sustainable farming journey by first and foremost purchasing a grocery store styled CSA share for pick up on farm or in Rockville, purchasing from our market stand at the downtown Silver Spring market on Saturdays or patronizing the likes of Addie's, Blacks Market Bistro, Blacks Bar and Kitchen, Il Pizzico, Roots Market and Dawson's Market. Red Wiggler Community Farm, founded in 1996, is a sustainable farm where people with and without developmental disabilities come together to work, learn, and grow healthy food. On our 12-acre campus, Red Wiggler’s participants cultivate Certified Organic vegetables that are distributed to the community including Group Homes for adults with disabilities and Manna Food Center. Red Wiggler is dedicated to the health of our community by utilizing sustainable farming practices such as cover cropping, low/no till production, crop rotation, beneficial plantings, and organic growing standards. Potomac Valley Organics is a small family farm providing fresh organic salad greens to our local community. 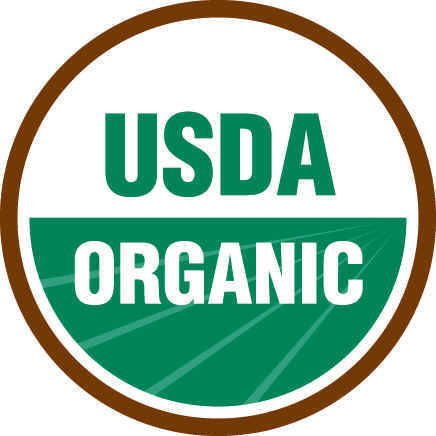 We have been Certified Organic since our start in 2011, committed to growing healthy soil, and, in turn, growing healthy greens. Some of our sustainable practices include using natural inputs such as compost and cover crops to fertilize the soil, never using chemical pesticides or herbicides, implementing passive weed control techniques to reduce soil disturbance and the need for tractor cultivation, and purchasing farm inputs locally when possible to reduce use of fossil fuel. Not only are we committed to sustainable practices on our farm, we also partner with those who share our values. The wholesale markets who carry our products are just as passionate as we are about improving sustainability and supporting local businesses. Although we have implemented many practices to increase sustainability on our farm, we are always aiming to improve. Our goals for 2018 include expanding our pollinator habitat for the bees kept here, making bird and owl boxes for the farm’s perimeter, and implementing a no-till practice in some sections on the farm to improve soil structure and reduce fuel use. From the Earth Foods is a small diversified vegetable farm located in Montgomery County’s Agricultural Reserve. Initially started in Minnesota with her sister, Courtney re-launched the business in Maryland thanks to help from Montgomery Countryside Alliance’s Lank Link program and the New Farmer Pilot Project. 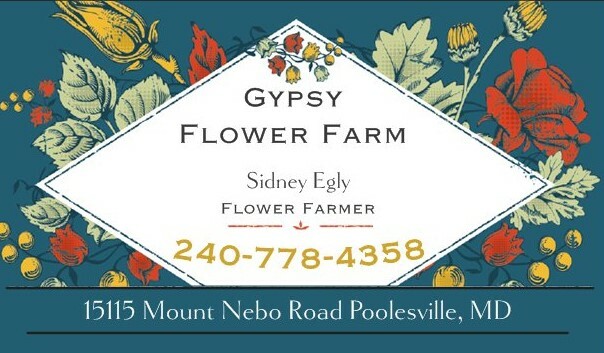 The farm currently serves customers at farmers’ markets located in downtown Silver Spring and Poolesville, as well as selling wholesale to small regional grocers. The farm has been certified organic since 2015 and continually strives to utilize the best available growing practices as well as good old fashioned hard work. Planting cover crops, also known as green manures, to build soil fertility, capture nutrients, protect water quality, reduce runoff, provide habitat for beneficial insects, and prevent soil erosion. Designating and setting aside land that is used strictly for growing perennial vegetation to house beneficial insects and wildlife. Building healthy soil using cover crops, compost (made right here in Montgomery county) and naturally mined minerals that in turn produce nutrient dense foods. Utilizing crop rotation to minimize disease outbreaks and pest pressure. When needed we only use organically approved products to control them. Using drip irrigation on crops to conserve water usage. We strongly believe that the health of the land correlates directly to the health of the people, and our farming practices strive to grow nutritious food while building and protecting the environment around us. Chocolates and Tomatoes Farm is a certified organic and Certified Naturally Grown vegetable farm operating in Germantown, MD. Since our founding in 2013 we have worked to bring local, organic produce that is colorful, nutritious, and delicious to our community, and specifically to those in need in Montgomery County. Our organic practices, combined with the love and attention each member of our family gives to all our produce is that extra something that makes vegetables the star of every menu, in a way they were meant to be! We can be found in our work with Manna, the local food bank, at the Olney farmers market year-round, on the produce stand of Dawson's market in Rockville, and at local restaurants such as Riccuitis in Olney, Vasili's kitchen in Kentlands, Basset's, and watershed cafe in Poolesville, and also Il Pizzaco in Rockville. From the start, being green was in our blood, our hearts, and certainly in our plans. We use organic compost to feed the plants, capture rainwater to quench their thirst, and sequester as much carbon as our lush green plants can carry! Nothing goes to waste on our farm, and we live everyday searching for new ways to return to the soil all that we take, and more. ecobeco believes that all homeowners should live in comfortable, efficient, healthy homes. We are a trusted partner for whole home design that impacts individuals and their families, our community, and the environment in positive ways. Since 2008, ecobeco has been helping homeowners around the greater Washington DC Metropolitan area with their remodeling needs. We have completed over 1,000 remodeling projects, and we have performed energy efficiency audits and check-ups for over 50,000 homes and apartments as part of our relationship with Pepco's energy efficiency programs. Our multi-disciplinary team of energy auditors, general contractors, architects and interior designers will create the homes our customers have always wanted. ecobeco provides Design Build, Energy Efficiency, Indoor Air Quality, and Handyman Services. ecobeco is committed to reducing our impact on the environment in all aspects of our operations: in our Rockville offices, satellite facilities, in transportation and fleet vehicles, and on all jobsites, we encourage waste reduction, energy conservation, and greener purchasing choices for our supplies and materials. In addition to our practices in the Rockville office / employee environment, we support and participate in community events that have a mission of supporting the education and communication of energy efficiency, green building practices, enhancing indoor air quality, and reducing environmental impact of construction. We also donate services and prizes to various environmentally-focused local organizations when requested, such as One Montgomery Green. We participate with paid sponsorships for several Community events each year, in addition to accepting ongoing requests from community organizations in our service area for workshops and informational presentations on how homeowners and citizens can help reduce their energy consumption and improve their environmental footprint through simple practical changes. These workshops and additional services are most often held on weekends are in addition to our normal work functions and weekday office hours. ecobeco supports and advocates for regional, state, and national environmental policy efforts and participates on the committee level in various capacities including communicating and messaging relevant news and articles via our blog and our many other social media channels. Our overall goal is to practice and educate on topics related to “Greening Your Home & Lifestyle” -reduce, reuse, and recycle; giving back to the local community; making better choices each day; striving for continuous improvement in all areas of our individual and business operations, and above all else, to help people create safer, healthier, and greener homes.